Down along the east-central coast of Sweden, where the littoral bulges out into the Baltic, where Lake Malaren sprawls, not quite sure whether it’s a lake, a river, or the sea, there’s Stockholm. The city, spread across 14 islands, exists as both a world capital of and a meme. A cruise visit to the city uncovers the genius you might expect, manifest in the city’s parks, waterways, and urban design. But there is also something more. 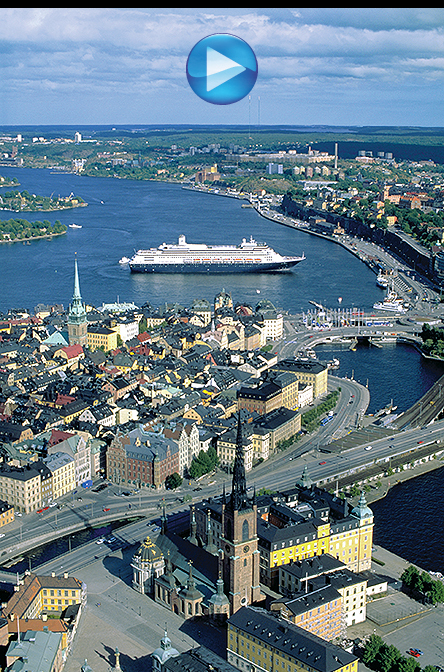 Stockholm was designated a European Green Capital in 2010 and has become a global leader in sustainable urban living. So as you walk the streets and whistle softly at the view, consider you may be witnessing the birth of something hinting at the future of the planet.